Writer-director Jeff Baena’s zombie rom-com Life after Beth, starring Dane DeHaan, Aubrey Plaza, and Anna Kendrick, has been acquired by A24 for U.S. distribution. Read up on our Sundance interviews with Baena here, and DeHaan and Plaza here. 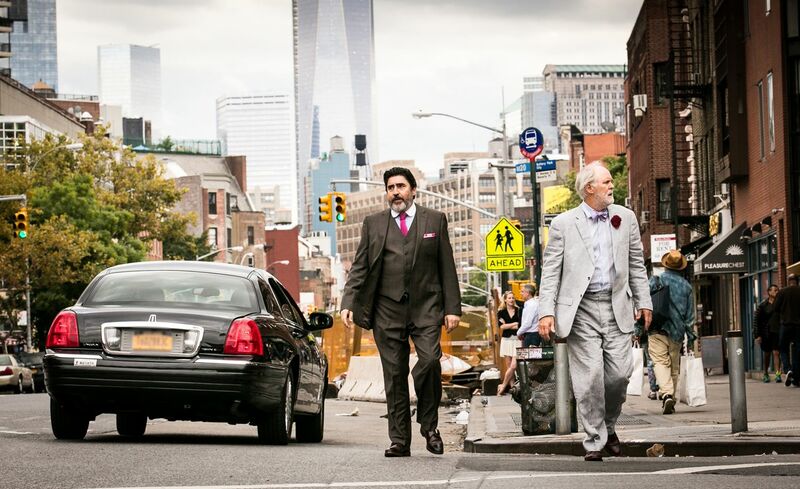 Directed by Ira Sachs; starring John Lithgow, Alfred Molina, Marisa Tomei, Darren Burrows, Charlie Tahan, and Cheyenne Jacksons, Love Is Strange has been picked up by Sony Pictures Classics. Read up on Matt’s review of the film from Sundance here. 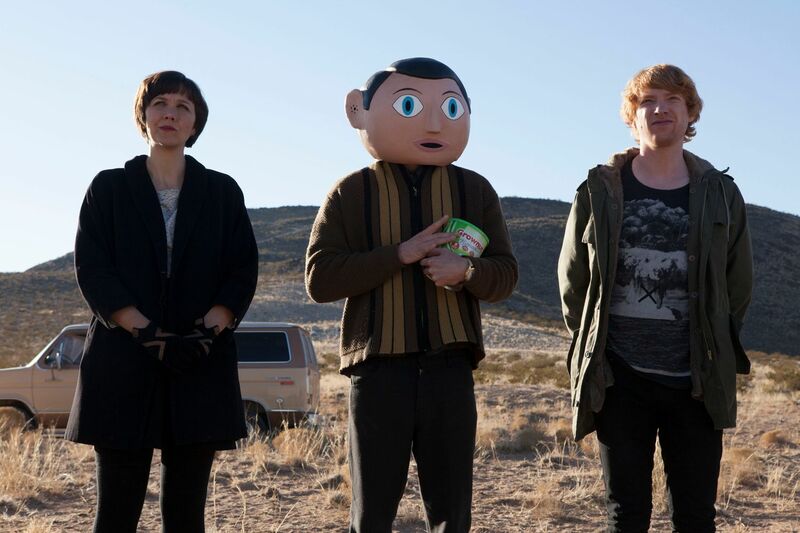 Frank, directed by Lenny Abrahamson; starring Michael Fassbender, Domhnall Gleeson, Maggie Gyllenhaal, and Scoot McNairy, has been acquired by Magnolia Pictures for North American distribution. Read Matt’s Sundance review here. Hit the jump to read the press releases for Love Is Strange, Frank, and Life after Beth, and click here to catch up on all of our Sundance 2014 coverage. First up from THR is the news that A24 has picked up the North American rights to zombie rom-com, Life after Beth. Part of the deal includes a 30-day exclusive window for DirecTV prior to theatrical release. John C. Reilly and Paul Reiser also appear in the movie. NEW YORK (January 24, 2014) – Sony Pictures Classics announced today that they have acquired all North American, German and Scandinavian rights to Ira Sachs’ feature LOVE IS STRANGE. LOVE IS STRANGE made its world premiere at the 2014 Sundance Film Festival, where it has been one of the most well received films by critics and audiences alike. Academy Award® nominee John Lithgow and Alfred Molina star as a longtime couple who lose their New York City home shortly after getting married and as a result must live apart, relying on friends and family to make ends meet. The all-star cast of LOVE IS STRANGE also includes Academy Award® winner Marisa Tomei, Darren Burrows, Charlie Tahan and Cheyenne Jackson. Written by Sachs and Mauricio Zacharias, LOVE IS STRANGE is produced by Sachs, Lucas Joaquin, Lars Knudsen and Jay Van Hoy of Parts & Labor, and Jayne Baron Sherman. In LOVE IS STRANGE, Ben (Lithgow) and George (Molina) finally wed in Manhattan after 39 years together. However, once the Catholic school where George has had a longtime job hears of the marriage, he is fired, and the couple is forced to move into two separate households as they can no longer afford their Manhattan apartment. George moves in with two gay cops who live downstairs, and Ben moves to Brooklyn with his nephew, his wife, and their teenage son. While trying to find a new place to live together, Ben and George feel the pain of living apart while testing the strength of their relationships, both with each other and with those who have taken them in. This acquisition also marks a reunion between Ira Sachs and Sony Pictures Classics, as the company previously distributed Sachs’ MARRIED LIFE in 2007. “Filmmaker Ira Sachs, one of our most acute observers of humanity in modern times, has made his most accomplished film featuring two of the greatest actors in the English speaking world at the peak of their form. It is a privilege to collaborate with them on releasing LOVE IS STRANGE,” said Sony Pictures Classics. LOVE IS STRANGE was negotiated with WME Global, marking this as their second sale with Sony Pictures Classics at Sundance following WHIPLASH. Park City, UT (January 24, 2014) – The Wagner/Cuban Company’s Magnolia Pictures announced today that they have acquired North American rights to FRANK, an offbeat comedy that just had its world premiere to critical acclaim at the Sundance Film Festival. Directed by Lenny Abrahamson (What Richard Did, Garage, Adam & Paul), the film was written by Jon Ronson (The Men Who Stare At Goats) and Peter Straughan (Tinker Tailor Soldier Spy). FRANK stars Domhnall Gleeson, Maggie Gylenhaal, Scoot McNairy and Michael Fassbender as the titular character, a brilliant and eccentric musician who wears a giant fake head at all times. FRANK was produced by Ed Guiney, David Barron and Stevie Lee, and executive producers are Tessa Ross, Katherine Butler, Andrew Lowe and Nigel Williams. FRANK is an Element Pictures/Runaway Fridge production for Film4, BFI, Protagonist Pictures and the Irish Film Board. Gleeson plays Jon, a wannabe musician who finds himself out of his depth when he joins a maverick pop band led by the enigmatic Frank (Fassbender)—a musical genius who hides himself inside a large fake head—and his terrifying sidekick Clara (Gyllenhaal). It is a fictional story loosely inspired by Frank Sidebottom, the persona of cult musician and comedy legend Chris Sievey, as well as other outsider musicians like Daniel Johnston and Captain Beefheart. The deal was negotiated for Magnolia by SVP of Acquisitions Dori Begley and Director of Acquisitions John Von Thaden, with WME and Protagonist Pictures on behalf of the filmmakers. Protagonist is handling worldwide sales. Magnolia is eyeing a summer 2014 theatrical release for the film.